Well, the Blue State Democrats are trying so hard to help them, you see. And, btw, many will not. They just don’t get much of a tax change either way. All of these special laws [in states like NY, CT, and NJ] are aimed squarely at helping the wealthy. It’s chiefly the high earners and affluent who suffer from the SALT deduction cap of $10,000. According to one analysis, nearly 60 percent of the added revenue from the SALT changes will come from the top 1 percent. While the Democratic politicians still say they’re fighting for fairness, the gap is more political than economic — the red-state rich will get a big tax cut while many of the blue-state rich will pay more. While decrying the federal tax cut as a “massive giveaway for the very wealthy,” Connecticut Governor Dannel P. Malloy spearheaded the state’s plan to help owners of pass-through businesses (where the wealthy account for most of the income) and help those who want to deduct more than $10,000 in state and local taxes. Oh, they want to tax the rich… locally. So here’s the deal: Democrats already hold overwhelming majorities in Congress in these states. Campaigning against the tax law… will not get more Democrats elected. They’re already fairly maxed out up here. They really need to pick up seats elsewhere… like states where the SALT cap has little bite and who may be enjoying their reduced withholdings already. Unsurprisingly, this Democrat is in New Jersey. Thing is, they desperately need lots more revenue, if they want to keep their big state government and big state promises going. What was it I had said about the Micawber principle? It’s not that they’re going over their means by a few small percentage points per year, but that their shortfalls are huge, even compared to their billions in revenue. It would be better for Illinois taxpayers’ blood pressure, that’s for sure. When Congress was debating federal tax reform last year, New York Gov. Andrew Cuomo took umbrage at one major component under consideration. “New York will be destroyed,” he warned, by limits on the deductibility of state and local tax (SALT) payments. His complaint cut no ice with federal lawmakers, who put a ceiling of $10,000 on the annual amount that can be deducted. 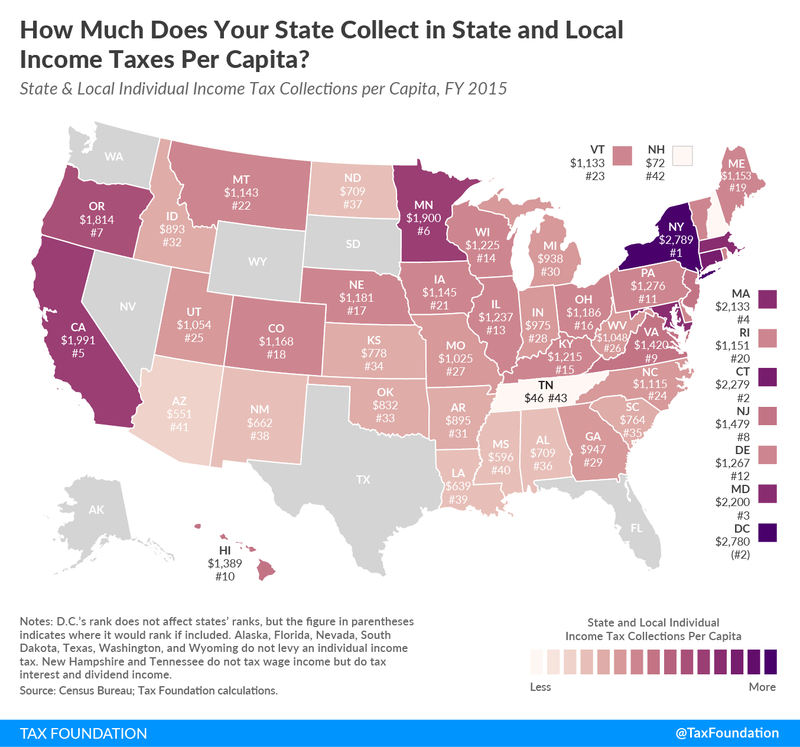 That restriction will have a modest effect in low-tax states but a large one in New York, where 40 percent of filers exceeded that amount in 2015. The effect is also painful in such high-tax states as Connecticut, New Jersey, California and, ahem, Illinois. That effect, we should mention, is a feature, not a bug. It forces taxpayers in these places to bear the full burden of the decisions made by their lawmakers – rather than force taxpayers in more frugal places to effectively subsidize affluent citizens of the high-tax states. A near-doubling of the standard deduction, coupled with lower federal tax rates, makes the new limit irrelevant for most middle-income households nationwide. What lawmakers in Illinois – and New York, and other states that feel put upon – should be doing instead is finding ways to trim spending and taxes so their constituents won’t be so affected by the change. Part of the problem, at least for Illinois (less so New York), is that they really can’t… unless they can reduce their already made promises in pensions. Earlier this week, Wirepoints warned that the eerie silence in Springfield augured bad news for Illinoisans. The House of Representatives has voted 97-18 to pass a FY 2019 budget. The same budget was approved in the Senate yesterday by a vote of 57-2. Given that most legislators were given only a few hours to review the details of the 1,245 page budget, you can bet none of them really knew what they actually voted for. The bill is now in the hands of Gov Rauner, who has said he will sign it. Expect a major celebration from both sides about the civility and the bipartisanship that came about this time around. Expect the media to commend all sides for reaching an agreement without the bitterness of the past three years. Expect to hear the word compromise over and over. But what about the budget? Just because they say it’s balanced, is it? And just because they have a budget, is it good for Illinoisans? And just because there was no impasse, will Illinois be able to avoid a junk rating? Oh, about that… well, Illinois requires its own post. We’ll see if the rating agencies are much fooled. Instead we can expect near record spending. We’ll have to see where the numbers truly come out, but spending will exceed $38.5 B. Ignore the headline numbers. What really matters are the expenses the state accrues during the year, and those are set by the laws currently in place. What the legislature appropriates – the $38.5 billion number – is always much less than what they actually spend. It always is. That’s how Illinois ends up with unpaid bills year after year. And that’s not even counting the grossly underfunded pensions as an operating expense (which it is). Read the whole thing at Wirepoints. In an earlier post, they showed the lie of annual balanced budgets in Illinois. It’s not just the routine gimmicks used to cover up a billion or two dollars using phony budget accounting, though there’s plenty of that again this year that we already know about. Ted Dabrowski wrote here earlier today about some, and we’ll no doubt find more as we digest the 1,200 pages the General Assembly got only hours before voting. The vastly bigger problem is accruals — running up bills with no way to pay, especially unfunded pension liabilities — that don’t show up in the budget. For further explanation, see our earlier article linked here. It’s for that reason that the narrative itself is a lie. Voters get overwhelmed with discussion about a budget hole of a couple billion dollars, which would be easily solvable, leaving them with no idea that our plunge into the abyss is proceeding at rate many times that. Again, we’ll see what the rating agencies think of these shenanigans. Finally, far from reducing taxes, Illinois Democrats have been rubbing their hands over the thought of soaking the taxpayers even more, with a “progressive” income tax. Somebody should have told Madigan that if he wants to be “…cutting taxes on the middle class, putting more money in the pockets of working families,” then the last thing he should propose is copying our neighbors’ progressive tax schemes. Adopting many of their tax plans in Illinois would actually punish middle-income workers and working families. That’s the case whether you’re an individual earning $50,000 or two married mid-career teachers. Funny enough, he’s right. But not in the way he intended. Indiana actually has a flat tax rate of just 3.23 percent – it’s clearly more fair to middle income earners than any of its progressive tax neighbors. Illinoisans better watch out. They already pay the highest property taxes in the nation and some of the country’s highest combined state and local taxes. Progressive tax proponents only want more, no matter what they say. You only have to look next door to see to see what a progressive tax scheme really looks like. Look, Illinois does need to tax more… if they plan on paying for the pensions at the current levels. I think it a fair swap. Ability to cut pensions (even if only COLAs) in exchange for differential taxation of income? Wanna make a real bipartisan deal, Democrats?